It’s not a Little League game. It’s Chris Narveson pitching to Josh Hamilton of the Texas Rangers during a morning “B” game at Spring Training. 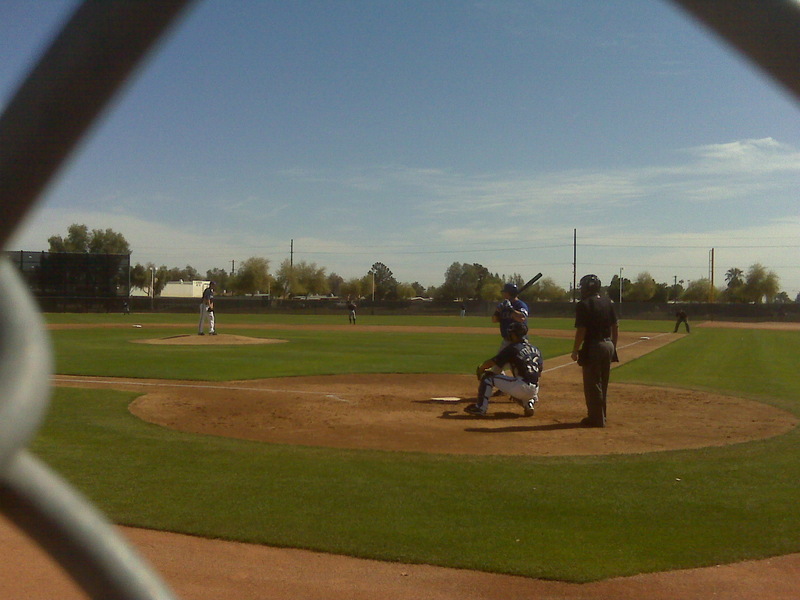 Standing behind the chain link fence on Field 2 in Maryvale actually puts you closer to home plate than the pitcher. Narveson struck out Hamilton during this at-bat. Spring Training is in the home stretch. The Crew departs Phoenix April 1st for a two game exhibition series versus Detroit at Miller Park (April 2, 3). Can’t wait to get the season started.